Looking for the best of both worlds? 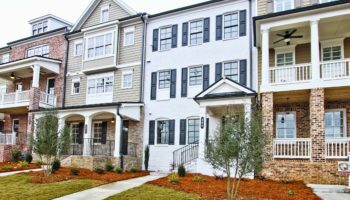 At Lochshire you will enjoy being tucked away in a beautiful serene setting while conveniently located to several of Atlanta’s major thoroughfares. Priced from the $280,000s in a fantastic location near I-75 and I-575, buyers choose from six inviting floor plans. Traton Homes is excited to announce that the final phase of 21 homesites at Lochshire in Cherokee County is now selling from the $280,000s. Homes at Lochshire feature open floor plans with great standard features.